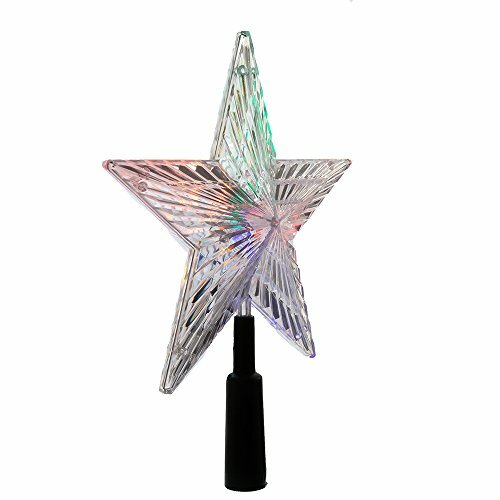 This Kurt Adler 8.5" LED Color-Changing Light Star Treetop is a beautiful, festive way to add to the lighting and decor of your Christmas tree! With a classic 5-point star design, this indoor-only treetop features a UL LED color-changing light feature for a unique, festive, glow. Each treetop has a 12" lead wire and a 4.5VDC 200MA AC adaptor.